Retro Rad w/ Debra DiGiovanni & Zach Sherwin! Join Kyle Clark (The Nerdist and This Is Rad! podcasts) as he shares his infinite pop culture knowledge of the '80s and '90s with co-host Caitlin Durante (Laughs, Luck of the Draw), who grew up without cable and watched, like, no television as a kid. 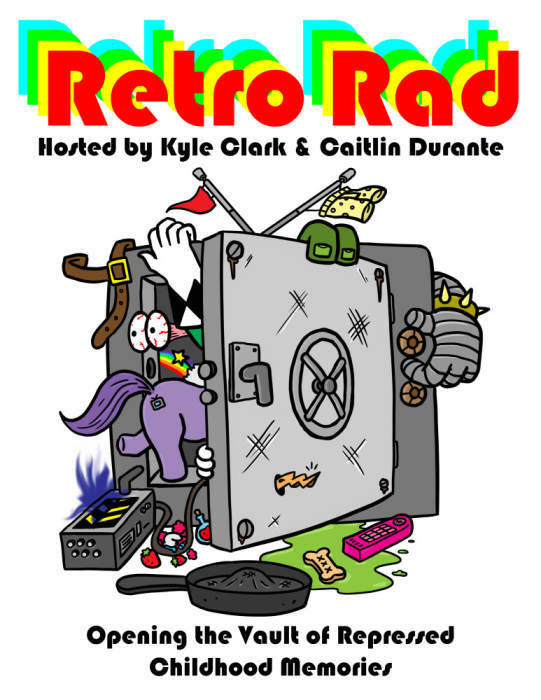 Together they invite guests to review obscure cartoons and commercials from Kyle's curated collection of all things Retro Rad and match wits with Kyle's useless trivia. It's like if MST3K and Win Ben Stein's Money had a Muppet Baby. This month we're taking a trip back to Ancient Greece to watch Xena: Warrior Princess and reminisce about the days of syndicated broadcast television. Plus, we watch classic '90s comedians in not so classic '90s movies...and Retro Rad trivia! 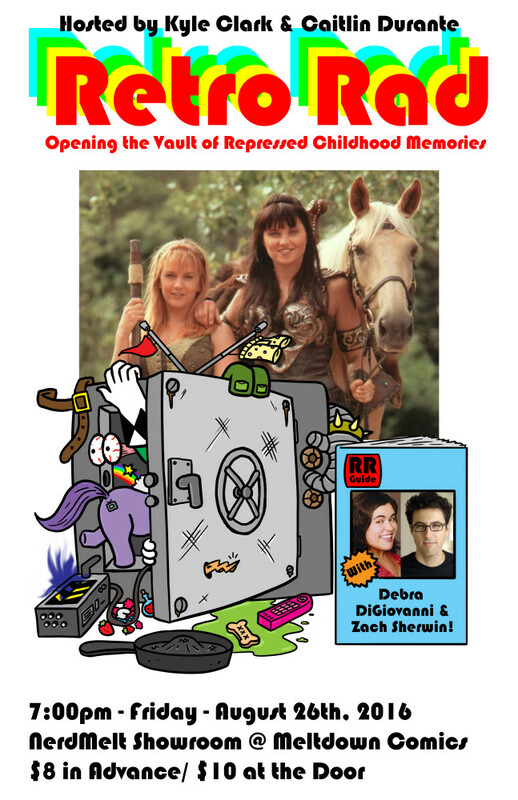 With special guests Debra DiGiovanni & Zach Sherwin! Come join us as we make fun of the TV junk from your childhood!